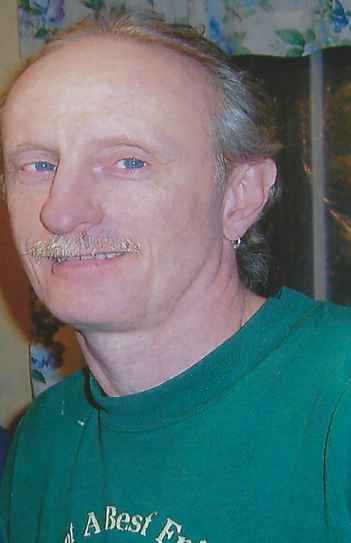 Danny B. Prentiss, 58, died unexpectedly at home on Jan. 29, 2019. Danny is survived by three children and one grandchild; son, Danny Gause, and his wife Jessica, and grandson, Andrew Jackson Gause; son, Jamie Prentiss, and his wife Devon; and daughter, Jodi Prentiss. Also surviving are siblings, John Prentiss, and his wife Barbara; Dorine Skorinko, and her husband David; Robert Prentiss, and his wife Ann; and Debra Miller. He is predeceased by brothers, Charles Prentiss and William Prentiss. Danny was born Jan. 6, 1961, to Charles A. and Arlene E. Prentiss, the sixth child of seven. He was a lifelong resident of Cogan Station, and most friends called him “Blue.” He worked as a laborer and carpenter, loved old cars and was an avid Steelers fan. Danny’s legacy was his passion for music. He was a self-taught guitarist and started playing at the age of five. He played in several bands over his lifetime and had many followers. He was a man of very few words, but became a master of communication when he picked up his guitar. He wrote many songs for family and friends which was his way of expressing his love for others, leaving behind a treasure of recordings for all to enjoy. The family will host a memorial service to celebrate the life of Danny B. Prentiss on Feb. 23, from 4 to 6 p.m. at the Avis Fire Company, 1 E. Central Ave., Avis, PA 17721.